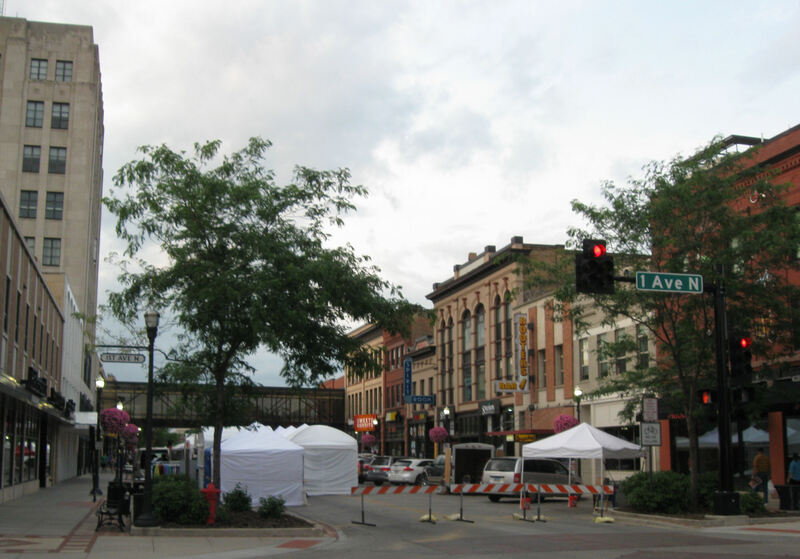 2014 Road Trip Photos #25: An Evening Stroll Through Downtown Fargo « Midlife Crisis Crossover! To me, this is cooler than any billboard in my hometown. Day Five’s return trip from the nuclear missile command center back to Fargo was draining and featureless. 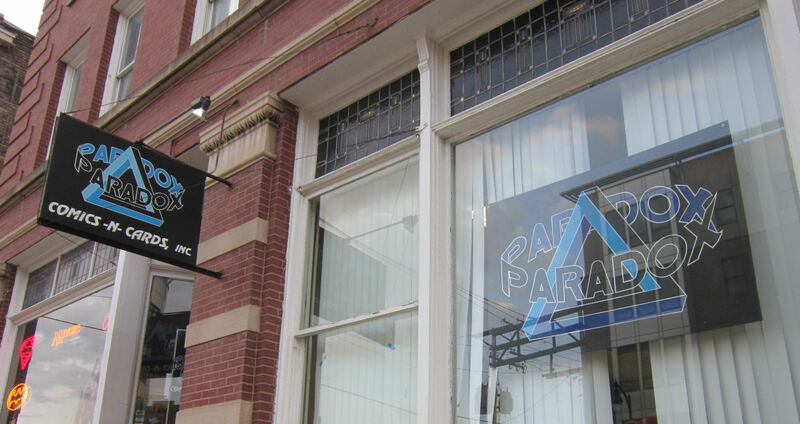 Our evening plans took us to the complete opposite of that: Fargo’s cozy, artful downtown. Lots of brownstone buildings from times past redone at ground level with contemporary storefronts, hiding the occasional flourish here and there, all largely deserted on a Wednesday evening. The whole place was practically ours. 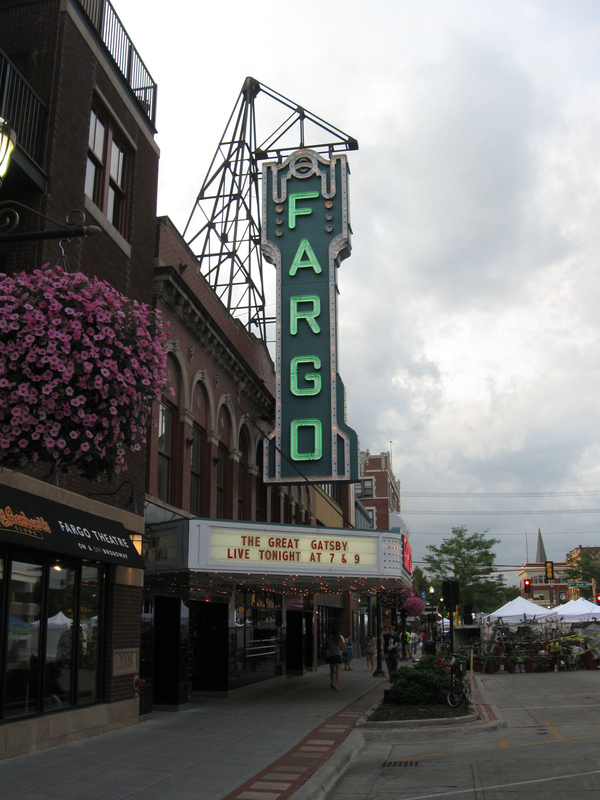 With a population well over 100,000, Fargo is hardly a small village. 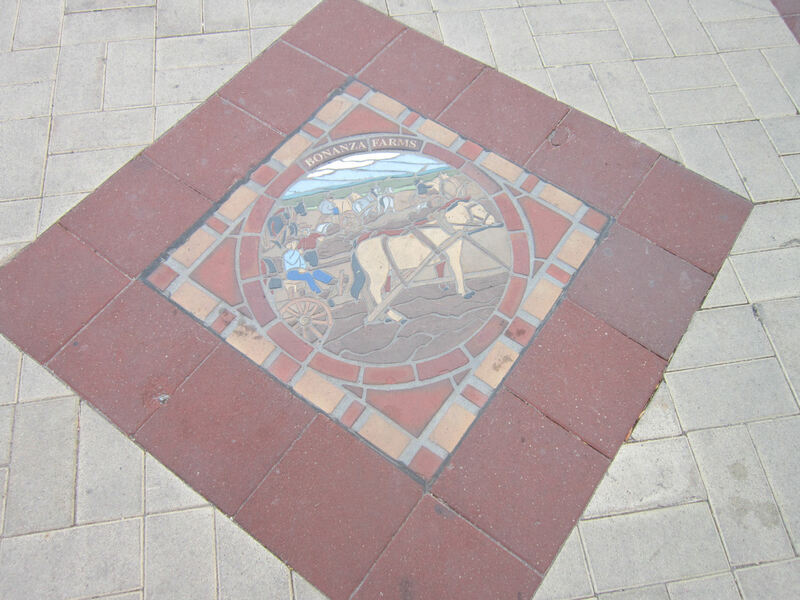 The moderately busy city streets took us past a lot of home improvement, construction, and agricultural businesses, but its downtown reminded me of a lot of town squares we’ve seen back home, except not square and with actual shopping options that catered to my interests. We arrived the day before an annual street fair would bring carnival food and fun to the citizens all weekend. Sadly, we couldn’t extend our Fargo visit beyond a simple overnighter due to a tricky appointment we were looking forward to on Day Six. The street fair tents, like many of their mom-‘n’-pop shops, were closed when we arrived. Not that there weren’t things to look at or do. Another pic to add to my marquee collection. 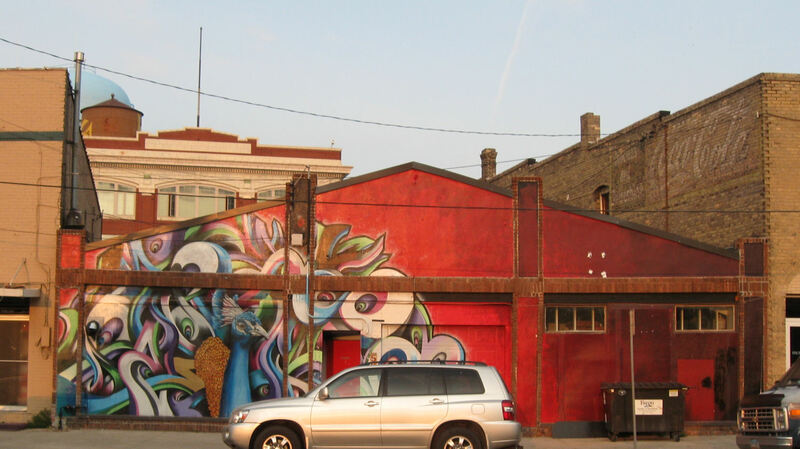 Artist Paul Ide has contributed more than one brightening mural. Kinda sorry we missed the rest of his work. 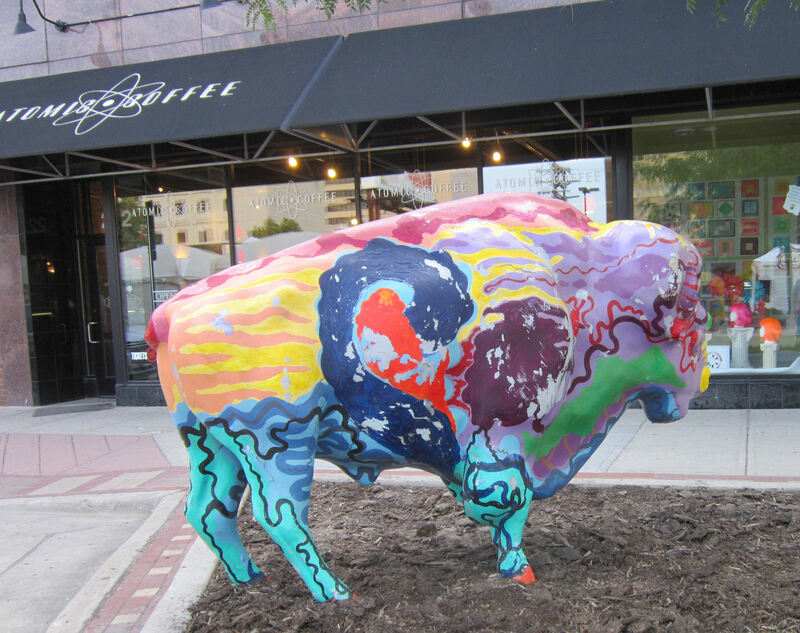 North Dakota State University’s athletic teams are called the Bisons. Hence, bisons here and there. We had modest dinner at Smiling Moose Deli, a semi-nationwide sub shop we’d never seen before. Their website says they have one Indiana location, but Evansville is nowhere near us and a moose motif makes no sense in our state. My Bayou Chicken sub was better than most Subway offerings, and my wife was content with her Greek salad. I’ve heard rumors that we have indie music stores back home. If so, none of them are within five miles of my house and they’re not very good at luring me. The little shops and slightly less little chains that exposed me to new sounds throughout the late ’80s and early’ 90s all shut down before the end of the millennium. I don’t have much use for the Top-40 selection that dominates Best Buy and every big-box store, which means most of my music shopping today is sadly done through Amazon. My wife waited patiently while I flipped through the bins at Orange Records and came away with Mike Doughty’s The Flip is Another Honey (good luck finding that at Target) and a second CD that escapes me at the moment. All are welcome. Jack Black’s High Fidelity character doesn’t work here, unless we happened to stop by on his day off. One thing I regret about most of our road trips: I almost never make time to visit comic shops in other states. That means whenever we’re out of town on a Wednesday, the official New Comics Day every week for us habitual collectors who want the newest installments of our favorite series now now now, I have to contain myself until we return home at the end of the week and I can finally get to my local shop after half the books I collect are probably sold out. 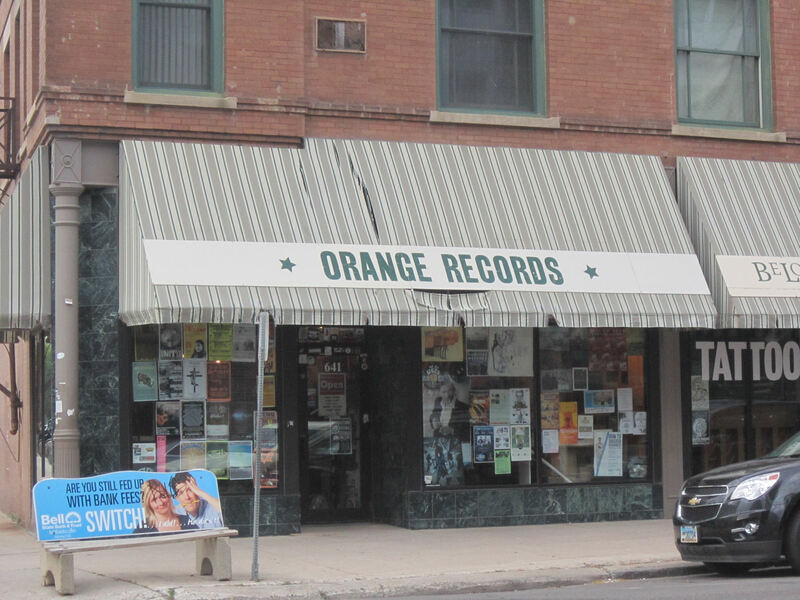 This time, a stroke of convenience: there just so happened to be a shop across the corner from Orange Records. Thankfully the young folks at the twenty-year-old Paradox Comics-N-Cards didn’t stare too hard at us middle-age strangers. They didn’t have everything on my list (I distinctly recall them having zero copies of The Wicked and the Divine #2), but I picked up enough to contain myself for the next few days. After strolling up and down several city blocks, we took our leave, navigated the narrow grid of confusing one-way streets one last time, and made one last stop for the evening at the kind of place we rarely see anymore: a hotel with a distinctive interior. After so many chains with so much corporate-standard lookalike decor, it was refreshing to see a lobby we hadn’t already walked through in ten other states. 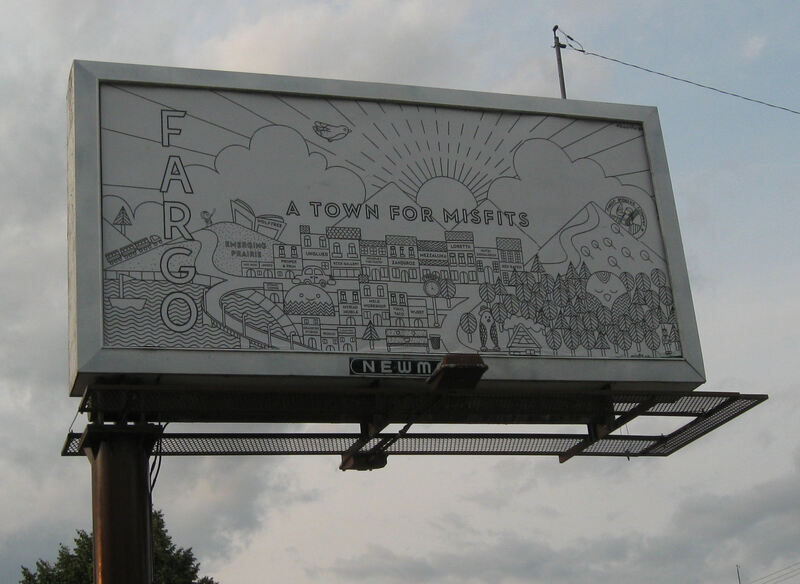 Fargo looks pretty prosperous. Is it bustling from the oil and gas boom? Looks like a very cool spot. I particularly appreciate the hotel lobby. 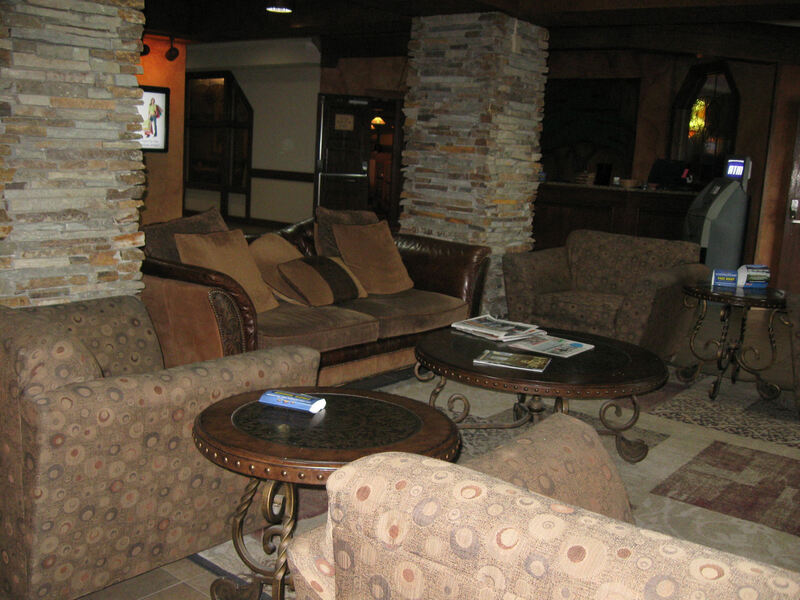 The hotel was so odd to us — it was just another chain, but felt inside like a woodsy park lodge. Maybe this was one of those rare corporations that lets franchisees set their own tone instead of requiring them to order all their furniture and wallpaper from the same catalog. It was a much more inviting atmosphere, and we sorely needed it after all that driving.